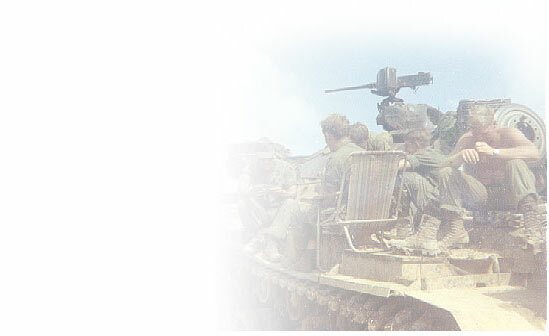 Join your Cav Brothers on a guided tour back to our area of operations in Viet Nam this October. Following this is the current itinerary for the tour of our old area of operations in Viet Nam this fall, which should be pretty well locked in by now. The tour will return to the USA on the morning of October 12, allowing us to fly directly to Memphis to attend the A 4/12 Cav reunion in Tunica, Mississippi . I plan on going on this trip, and hope that several of the other guys from the Cav go as well. It should be the chance of a lifetime to see Quang Tri, Cua Viet, Dong Ha, and the areas where Charlie Two, Alpha Four, The Rock Pile and our other haunts were located. I'm sure that much of the area is quite changed, but the basic scenery should still be the same, and the opportunity to return there with other guys who served in our unit with us seems to me to be the chance of a lifetime. The tour operators would really appreciate it if we can notify them as soon as possible so that they can lock in the necessary number of airline seats and hotel rooms. If at all possible, please notify them by the end of February if you plan on attending, though they can probably work in people who can't commit until later. For specific information, you should probably contact Military Historical Tours directly. They have various payment options, and they can answer any of your questions about going to Viet Nam . The people who run Military Historical Tours are all veterans, and they have taken many tour groups to Viet Nam – they know what they are doing. The guy leading this tour for us, is a Viet Nam veteran who has lead many other tours to the area previously. He is John Powell. Another of their experienced tour guides, and another Viet Nam veteran who will accompany us, is Ed Garr. We will be in good hands on this trip. Remember, there will be other tours to Viet Nam in the future, but this may be our best chance ever to go back to Viet Nam with some of the guys who we served with over there. Tue Oct 2 Day Three: This morning we commence a walking tour south of the Perfume River . We follow in trace of USMC Battalions 2/5 and 1/1 area of operations to retake the city during the Tet offensive of 1968. We will visit the Phu Cam Canal , the old Texaco station, MACV Compound, Hue University and many other sites important to the battle. This afternoon will be free for R&R at the hotel pool or to explore the shops along Le Loi Street . This evening there will be a dinner cruise on the Perfume River . Hotel: Huong Giang. B, L, D.
Wed Oct 3 Day Four: This morning will be devoted to exploring the north side of the Perfume River and the Citadel. The emphasis will be on the battle inside the inner city to include the Dong Ba Gate and the old airstrip. There also will be a short walking tour within the Citadel. We will visit the Thein Mu Pagoda. After lunch you can explore the city on your own or just enjoy the pool at the hotel. Hotel: Huong Giang B, L, Dinner at the hotel. Thu Oct 4 Day Five: This morning we move north along “The Street without Joy” to Wunder Beach, LZ Nancy, Sharron, Ai Tu, Dong Ha Bridge, Gia Linh and a sampan ride east on the Cua Viet to the Gulf of Tonkin. This location is a current Naval Base and restrictions as to photographs and debarking may apply. Fri Oct 5 Day Six: This morning we cover the former Leatherneck Square area at Cam Lo, Cam Lo Bridge C-3, ( Bastards Bridge ) The Washout C-2 and Con Thien A-4. We travel east to the Peace Bridge across the Ben Hai River and on to Vinh Moc which was the former storage and staging area for most NVA units in the eastern part of the DMZ. Sun Oct 7 Day Eight: This morning we will travel to the Tu Bon river basin, Hill 55 and the Liberty Bridge complex. Time permitting we can stop in Hoi for a sample of local shopping and visit the silk worm factory. Dinner on your own. Mon Oct 8 Day Nine: This day will include will include a visit the Marble Mountain complex, NSA and the old China Beach . This afternoon we continue south to Hoi An to complete our shopping needs Hotel: Bamboo Green Central. B, Lunch in Hoi An, Dinner on your own. Fri Oct 12 Day Thirteen: We catch our early morning flight to Inchon and arrive LA at 0840 on the same day Oct 12.